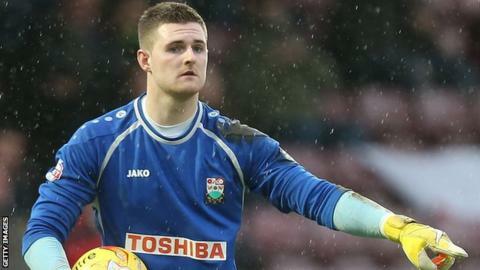 League One side Bury have signed Manchester City goalkeeper Ian Lawlor on loan until the end of the season. He had been at League Two Barnet on loan where he had made five outings. Dublin-born Lawlor joined City's youth academy from Home Farm in 2010 and was called into Republic of Ireland squad in 2014 but is yet to win a cap. "We have monitored Ian's progress since he signed for City and have been impressed with his form in development games," said Bury boss David Flitcroft. He added: "We are delighted to secure Ian to the end of the season and he will add great competition with Rob Lainton for the number one jersey."